Read Part 6 or view Index to start at the beginning. As I stated in Part 4 of this series, there is substantial overlap between the street photography epochs we describe. Rather than being purely sequential time periods, as the word epoch might suggest, they are instead groups that represent the overall norms that describe the period in which photographers began their work. The Rule Making epoch is no different. In terms of time period, the Rule Making epoch begins with street photographers who took up the camera starting in around 1929, just as the Great Depression began, and ends in the post-World War II mid-1940s. There were two phenomena that made these a natural demarcation point. First, of course, was the Depression itself, which caused major cultural shifts throughout the globe. The Great War had been over for over a decade, and the first great migration of Americans from the farm to the city had almost concluded. Cities were bustling, as they had been in Europe for years, and the streets were full of dynamism and growth. Secondly, and more close to photographers’ hearts, new photographers entered the medium unchained from the big, slow cameras of the past, led by the Leica I in 1925. By 1936, within ten years of when every photographer in the Rule Making epoch took up the camera, fast, sharp, and lightweight 35mm kit was relatively cheap and widely available. With new freedom came new ways of shooting. Indeed, it was not so much the photographers that defined the epoch as it was the availability of equipment that allowed more mobile and dynamic work. While the earliest photographers in this group, especially the three we’ll detail here (Aaron Siskind, Helen Levitt, and Henri Cartier-Bresson) overlapped their predecessors from the Transitional Epoch, there was a subtle shift from the experimentation that marked much of the previous group’s work. In short, photographers began to describe Street Photography as a separate discipline and even went so far as to state what does and does not constitute street photography. 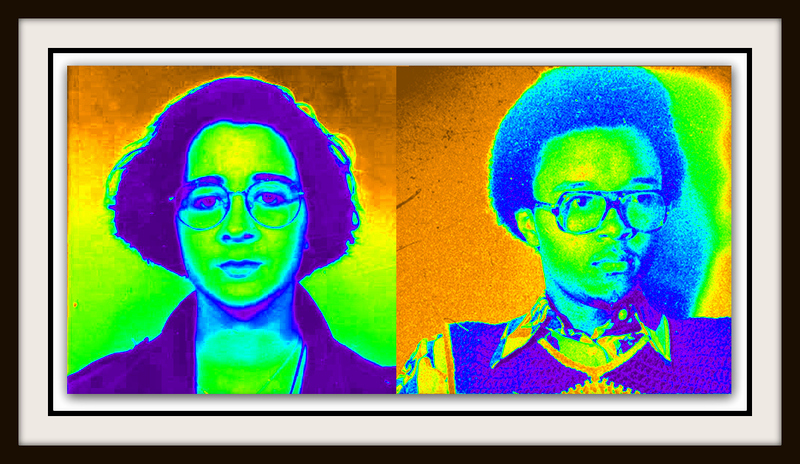 Of course, with any group of artists, there was considerable dissention as to exactly what those rules were. However, those who followed no longer took up the camera with a largely blank slate of expectations. Instead, there existed around 100 years of history and some very vocal advocates for certain aspects of composition and content. In the posts that follow, we will look at some of those rules and very quickly shout them down. As you follow along, I’m confident you will see that even in this age of Rule Making, there was (and is) by no means a consensus of what constitutes true street photography. 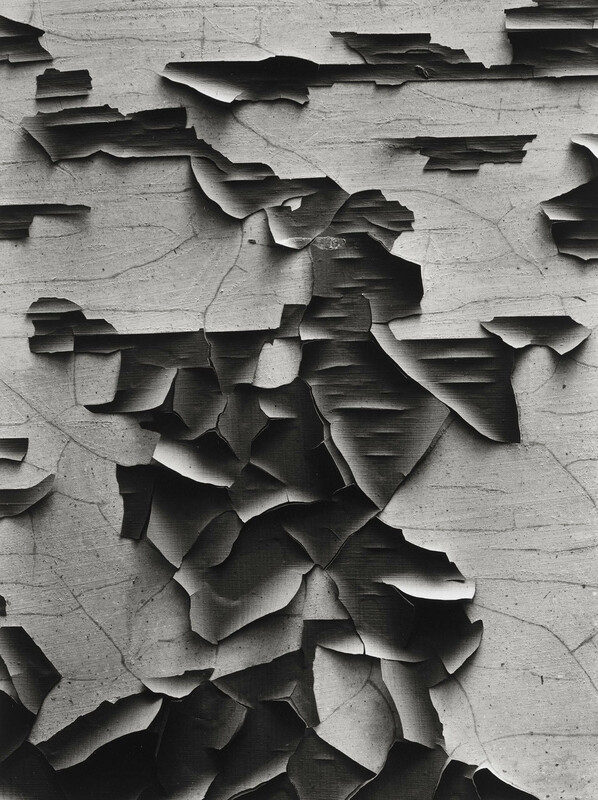 Aaron Siskind is as good a place as any to begin discussing Rule Making, since he was as adept at breaking rules as he was at defining or following them. 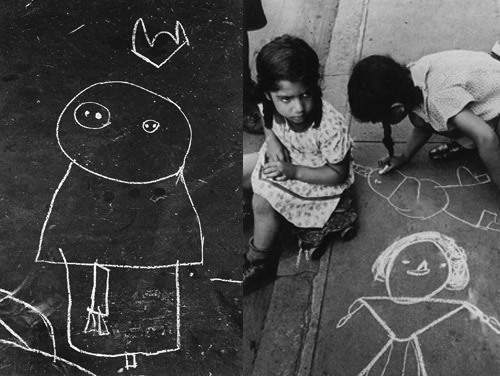 Born in 1903 in New York to Russian Jewish immigrant parents as the fifth of six children, Siskind spent his childhood in NYC, receiving a Bachelor of Social Science degree from the College of the City of New York in 1926. He went on to teach high school in the New York public school system, a career he kept for 21 years. While his first artistic loves were music and poetry, he took up the camera after receiving his first camera in 1929 as a wedding gift. He later stated that he began taking shots on his honeymoon and quickly began to see the possible artistic merits of the device. With this one sentence, he explains the conundrum of his future work, rejected the relatively ordered shots of a disordered world, for abstract photos of ordinary, true-to-life objects and making them disordered. He was one of the first photographers to combine “straight” (high-truth-value) photography with abstraction. His photos emphasized modernist attention to the flatness of the picture plane, but added in textures, line, and visual repetition. 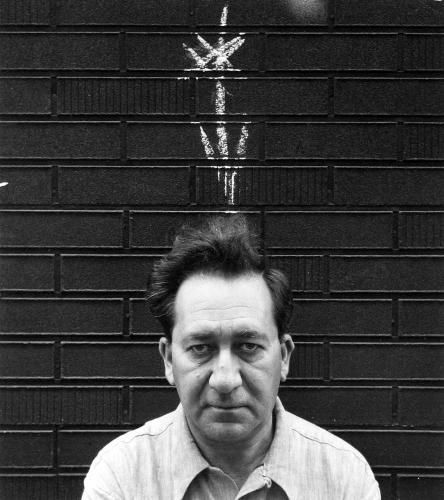 Siskind is now mostly remembered for his abstract work, of which, frankly, I’m not a fan, but he also stretched the definition of photography, pushing against its foundational roots as hard as he could. c. 1963, taken on location in NYC during the Filming of An Affair of the Skin. Helen Levitt, who grew up in Brooklyn’s Bensonhurst neighborhood, was one of the most celebrated and least-known photographers of her day, and one of my personal favorites by a landslide. Levitt taught herself photography, and decided early on to make it her profession. She dropped out of high school and began working for a commercial photographer where she could learn her craft. In 1936, she bought herself a 35mm Leica like the one used by mentor and idol, Cartier-Bresson and began her street work in earnest. She used an angled viewfinder to be able to do her work more discretely, and began her sensitive style that was marked by more candor than the photographer-aware street shots of her predecessors. With changing tides, MOMA did hold a second solo exhibition in 1974, this time of color work. Fortunately for those of us who followed her, Levitt kept shooting between exhibitions. (The moral of this story? Keep shooting.) Major retrospectives of her work have been held in San Francisco and MOMA (1991), NYC’s International Center for Photography (1997), Paris (2001), and again in Paris and in Germany in 2008. Levitt was alive to see her work rediscovered. I asked her why it was hard to talk about her photography. Levitt spoke about briefly meeting Cartier-Bresson in 1935 and hearing from him that a photo didn’t have to have social meaning—but instead “could stand up by itself.” This was the first and most important rule of all: Documentary, Art, Defining Moments didn’t matter—the only thing that mattered was the shot, and making it beautiful enough that someone wanted to view it. 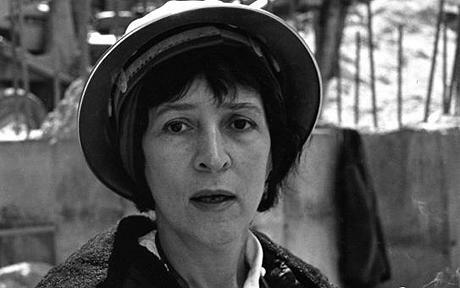 Her work was poetry—gentle and sensitive, timely and timeless. She didn’t attempt to document social structures or tell a story. Instead, she simply shot what was, and reinforced the candid reality of street photography, without needing to evoke a particular message or uncover the street’s brutal underbelly. Instead, she left a record of what existed, leaving you wondering why life changed so much. Her black and white work was rich in tones; her color work beautifully saturated and well-composed. Her work reminds us that photos are not just about light and shadow. They aren’t simply pictures of people–they are shots of relationships: between people, between the city and its denizens, between people and the environment. Her photos were art; they was poetry. She didn’t talk about her work much, and too few knew about it while she lived. 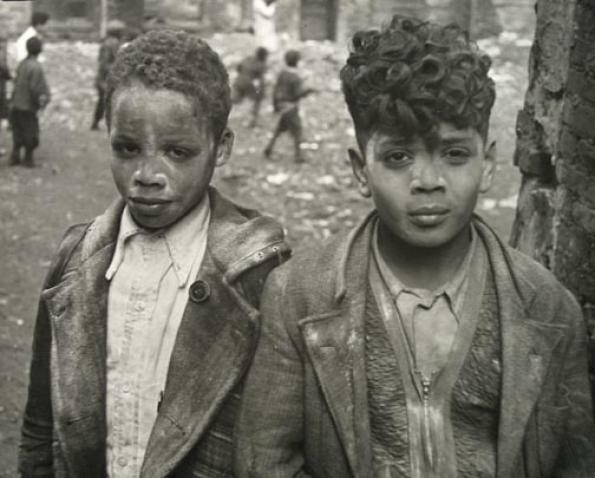 All Helen Levitt did was shoot. And, in so doing, she defined what street photography is, without saying a word. Helen Levitt died in her sleep at age 95. Her work has never died. I hope that by now you realize all of that, except the last sentence, is hyperbolic rubbish. Cartier-Bresson was one of the great influencers of the 20th-century of photography, especially street photography, but was hardly the father of a genre that existed for decades prior to his birth. He was, however, one of the masters of promoting photography, via Magnum Photos, which in part explains his position in photographic lore. Henri Cartier-Bresson / Magnum Photos. This is a case of seeing the pleasing geometry of the staircase, which roughly equates to the Golden Ratio via the negative space it creates, and waiting for someone to pass through the Phi point the cyclist is in. Henri Cartier-Bresson / Magnum Photos, Valencia, Spain. The shot relies heavily on Phi points and on diagonals, such as the one formed by the man’s arm. Henri Cartier-Bresson / Magnum Photos. The girl extends herself near the Phi line, while the wall forms a strong diagonal vanishing point. After adventures in the Army and a fling with a married woman (with her husband’s consent) in 1931, Cartier-Bresson traveled to Africa on a hunting trip to Côte d’Ivoire. He soon bored of hunting, but did see parallels that he could use in photography. What is less clear here is one of the primary reasons for this. Cartier-Bresson hated doing darkroom work. In fact, as his editors would complain, he would much rather take shots than produce prints to show his work. Like most photographers, his favorite workflow became his personal mantra. Unlike others, Cartier-Bresson professed his standards to the world. Henri Cartier-Bresson / Magnum Photos. Notice the two women are positioned along Phi lines. Cartier-Bresson’s rise was swift. By the mid-1930’s, barely 4 years after starting in earnest, he’d had major exhibits in Mexico, New York, and Madrid. 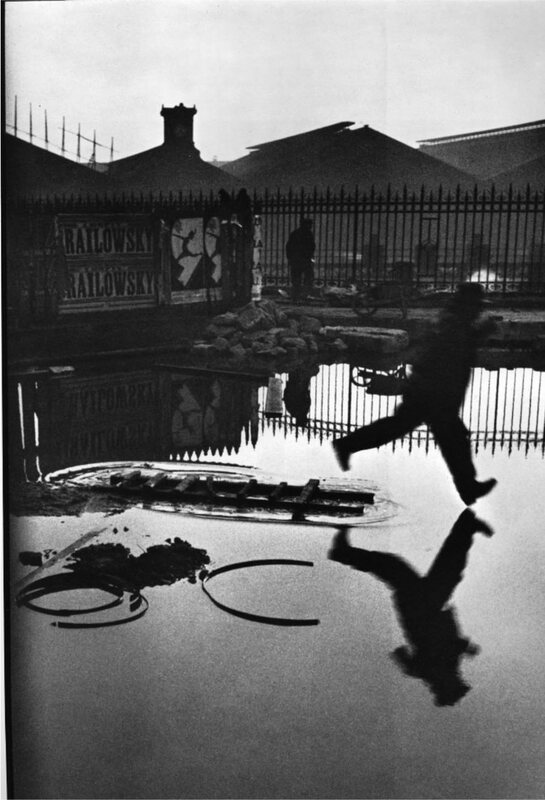 After a break for a brief fling with filmmaking and three years spent as a Prisoner of War under WWII German forces, Cartier-Bresson resumed his photographic career. 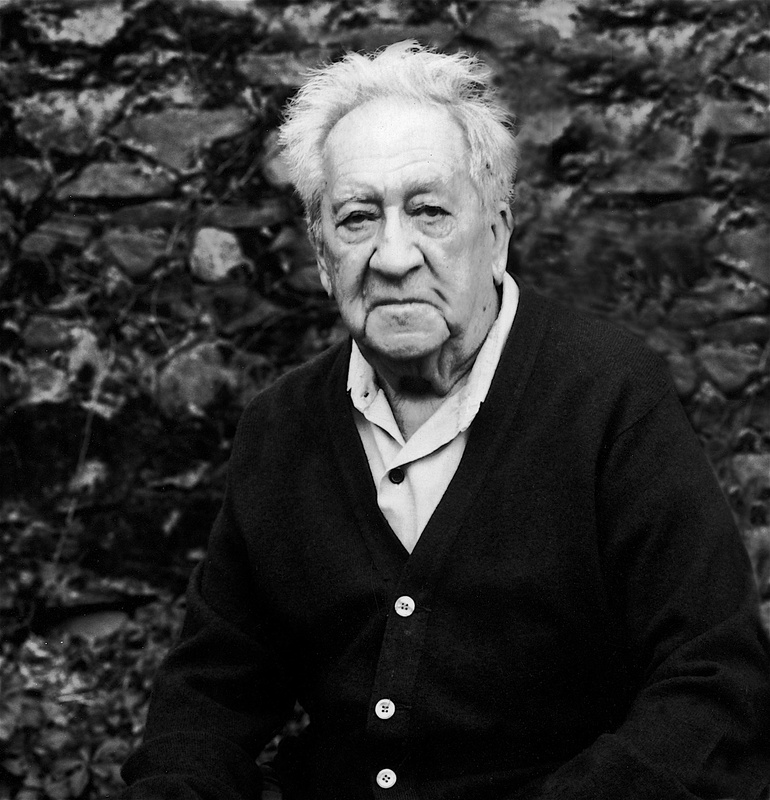 In 1947, he teamed up with Robert Capa, George Rodger, David ‘Chim’ Seymour, William Vandivert, Rita Vandivert, and Maria Eisner to found Magnum Photos, one of the world’s premier photo agencies. 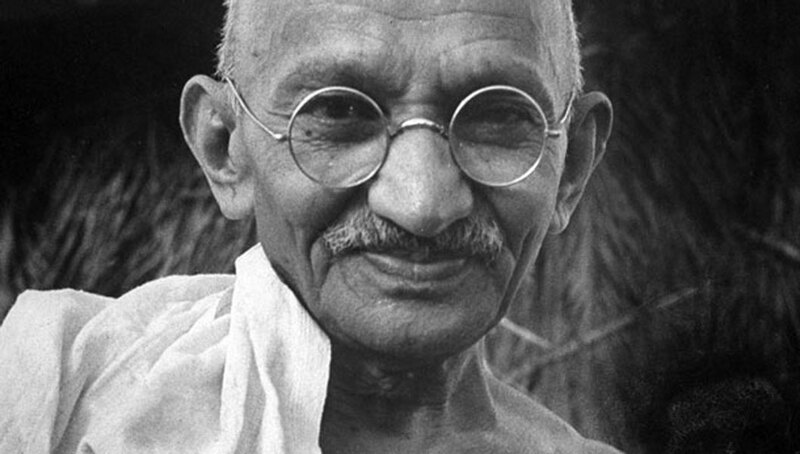 He spent considerable time in India and China, photographing Mahatma Gandhi shortly before his death in 1948. Henri Cartier-Bresson / Magnum Photos, Gare St. Lazare. HCB shot this through the opening of the fence. It’s often used as an illustration of his Defining Moment — composition meets serendipity. While his most well-known, it’s hardly one of his best shots. This isn’t so much a revelation about technique as an explanation of why photography has been so fascinating over the years. He later stated that photography allowed for only a fraction of a second for composition, which meant that intuition must be one’s director, not thought. The statement has been taken out of context by photographers obsessed with finding “important” or “unusual” moments. Instead, it simply taught what Maria teaches in Part B of this series: there isn’t time for thought, but simply to trust your intuition, await the endorphin rush, and snap the photo. Coincidentally, the photo that many use to illustrate this so-called Defining Moment is a shot that Cartier-Bresson staged. It does him a disservice, and ignores the fact that he was preaching simply that composition is important and speed mandatory. In 1966, Cartier-Bresson quit Magnum and photography, and focused full-time on drawing and painting, to which he remained dedicated for the rest of his life. He died at home in France just weeks shy of his 96th birthday. Note to readers: Due to the importance of the 3 photographers in this post, I elected to go into a fairly extensive discussion of each. For the remaining photographers, the biographies will be more concise, meant to introduce the shooter and her/his work. I hope you stay with the series. Jessie, I’m glad you liked it. Thanks for stopping by. Very nice. I’ll have to re-read it as I got lost in the photos, but a fine addition to the series. Wait . . . a grammar guerilla? Let me try again. This be nice. I, will be rereading it. I be meant to read them words in attention, but wondered of the beaten path into the stills. There! I hope that helps. I know how grammar guerillas like to find stuff like that. Almost as much as vegetarians like mentioning they are so. I resisted my speller checkerer’s insistence on saying ‘guerilla’ has two erres; silly checkerer! Wait . . . what do you mean ‘now’? Are you, or are you not a real grammar guerrilla?
. . . I thought ‘superior feeling’ is their natural state. Seriously, glad I could make your weekend; I was concerned it would be taken wrong. Oopsjohn, thanks for the feedback; I’m glad. I plan to work on part 8 this weekend. Hopefully an update comes early this week.